It is finally warm and I can wear short sleeves and more and more jewelery 🙂 Everybody can see it, cause it is not hidden under the warm coat. I also found some time to make a couple of bracelets who waited patiently in line, so today I would like to show you my favourite set of bracelets, that I wear all the time this warm days. If it doesnt fit my outfit and stays home, I really miss this rattle sound that it makes on the wrist. 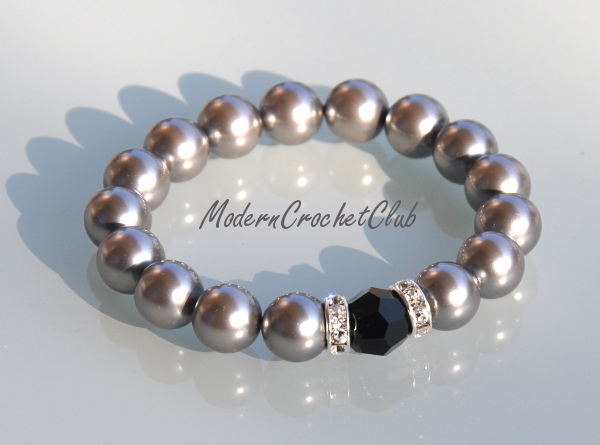 This set contains of a bracelet that I made from Swarovski Pearls in gray. I added Swarovski round crystal in black and 2 metal separators with little Swarovski crystals too. It is all put together on a rubber cord and works really fine like this. 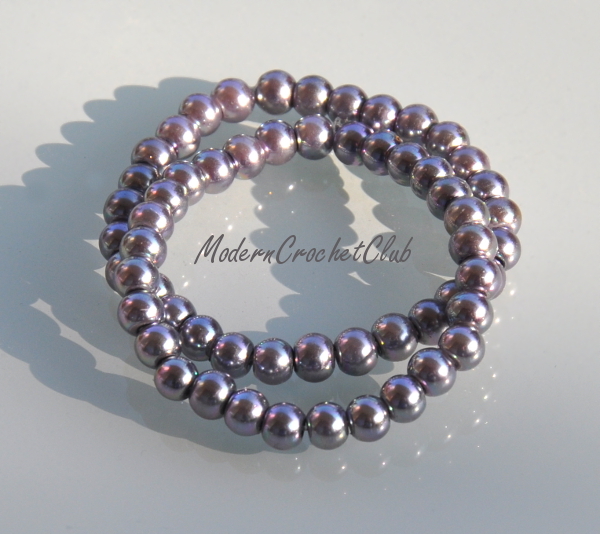 The second part is 2 smaller bracelets made of some cheap gray glass pearls, that I bought very long time ago. They finally become a bracelets with the same rubber cord. And the last, but the most laborious and beautiful bracelet, that my friend Justynka made for me 🙂 THANK YOU! I LOVE IT!! It consist of 2 ropes made from the tiny toho beads in black and crystal, not that big as I use ;), and has a little black ball made of even smaller beads. Real masterpiece! Justyna runs an etsy shop called Dobkosia, so you can check her other works there. I think they are worth to do it. Best regards to all readers 🙂 See you next time!